Tomorrow's Google IO approximately marks the one year anniversary of a shift in my digital lifestyle, when I began to use Android instead of my trustworthy iPhone, which had been my go-to device for a number of years. While any post I make regarding Android runs the risk of being assigned the 'fanboy' label, it's worth reviewing what has changed in the market over the year since I left the Moscone Center with a new HTC Evo - an intriguing year that's seen major announcements by players in and out of the ecosystem, with consumers reaping the benefits of an innovation race, assuming the courtroom battles between Apple and many other players don't throw a monkey wrench into the whole thing. When I left the Moscone Center with my new Evo (provided courtesy of Google and since replaced by a device I paid for out of my own pocket), the device came with stock Android 2.1, code named Eclair - with 2.2 Froyo having been demonstrated at the event and expected to arrive soon. At the time, my iPhone was on version 3.1.3 and the iPads were on iOS 3.2. Not too long afterward, the Evo was gifted with 2.2 Froyo in an over the air (OTA) update, keeping it relatively on track with Google's calendar. In late June of 2010, the iPhone was upgraded to iOS 4.0, bringing with it multitasking, folders and universal in boxes, to name a few things. The iPads reached 4.2 in late November, adding AirPlay and other items. By the end of 2010, Google had moved beyond Froyo and was talking up Gingerbread, the 2.3 release. This release hasn't yet made it to the HTC Evo, which my wife now uses, nor to my Samsung Epic 4G, which I switched to in November of 2010. In fact, the Epic's meandering move from 2.1 to 2.2 was a big pain, but it was very much a laggard relative to its compatriots, and once it arrived, I had no complaints. On the Android Tablet side, while Honeycomb (3.0) was said to be the go-to OS for Google-approved tablets, I've been quite happy with the Samsung Galaxy Tab, which came with 2.2 when I bought near the end of 2010. 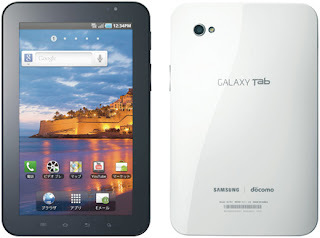 There hasn't been a clear roadmap from Samsung as to the Galaxy Tab getting to 2.3, let alone 3.0, but newer models of the Tab are centered around Honeycomb. So far, from my experience testing the Motorola Xoom, I haven't yet been tempted. The iPad 2's introduction in early 2011 was primarily a hardware bump for Apple, without new software features. As my conversion process to Android was ongoing, Apple started selling the iPhone 4 in June of 2010. Despite multiple visits to Apple Stores to try the device myself and reconsider if I had made the right choice, the hardware and software combo didn't persuade me to reverse course. Despite multiple rumors one way or another, Apple has not yet made any updates to the iPhone 4 in the past year, with the exception being adding a second carrier in the US (Verizon). While Apple's been holding steady with iPhone 4, scads of Android phones from different carriers with different features have been released - some fantastic, some good and some not great at all. The Evo, despite many things I liked about it, was heavy and a power hog, and I felt odd writing a disclaimer each time I mentioned Android on the blog, so those things, combined with a simple upgrade to the Epic 4G, which gained me a hardware keyboard to boot, got me to switch. Besides phones with real keyboards (which Apple's not interested in), there are also dual screen Android phones, Android phones that offer laptop cradles and low-end Android phones that get below $99 at retail. Where people have gained annoyance with Android is the tight leash carriers have over the software on the devices. It's perceived, even if not backed by great evidence, that the carriers are not incentivized to keep users on older hardware current, preferring instead to push them to new models. 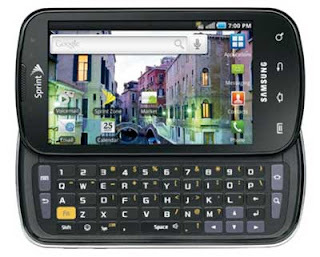 After starting and stopping its Nexus One program, Google introduced its Nexus S offering which, in addition to being a cool-looking phone, promises none of the carrier nonsense on the phone, as well as fastest access to Google code releases. While it's not a major win to say the attributes of the phone are simply avoiding negatives from carriers, it's valuable to have an unblemished alternative. As a user, assuming money is available, the option is there to upgrade to an even newer and better phone on the Android platform, keeping the carrier you like (in my case, Sprint), every few months. If I found it made sense, or if they somehow give away Nexus S phones at Google I/O this year, I can switch phones again with almost no headache. Meanwhile, if I were still on Apple's side with the iPhone 4, I could stick with the iPhone 4 or stick with the iPhone 4. What most folks get confused about is the word "open", while I prefer to see it as "options". I can change if I want to something that works for me. Speaking of "options", both the Samsung Galaxy Tab and the Android-powered Barnes and Noble NOOKColor come in 7 inch handheld sizes, which Apple thus far has avoided, sticking with their 10 inch model. While preferences are preferences, I do have the option on Android to go small, medium (8.9 inch) or large (10.1) if I want, while Apple is sticking with the one size fits all approach - one I expect they will change as the product matures. After all, they do have small/medium/large in laptops, iMacs and monitors, so it befits their history. I strongly prefer the 7 inch size over the 10 inch, and once you've used one for a good amount of time, a larger tablet just seems too big. For those who prefer Apple and the iOS, aside from a unified experience, the second most attributed reason for keeping the iPhone candle lit is typically applications - either in number or quality. I hypothesized a year ago that Android's market share numbers and array of carriers, phones and users would lead to more developers, more applications and eventually better applications. I believe for the most part, this has come true. There are a select number of developers who continue to be iOS-only, but they are rapidly joined by those developing for both platforms, and increasingly, by those who are developing for Android first, iPhone and iPad second, like I said they would. Robert Scoble, well known tech blogger and Apple fan, cited this trend in his recent post this morning, when he said "the most interesting set of companies is being built around smartphones and here, for the first time, Apple’s iOS doesn’t have the coolest apps." As a long-time Mac user (typing this on my MacBook Air now), I understand the defensiveness of quality over quantity and believing that you've got the best stuff. But I do believe that developers are bringing the best stuff over to Android as well and users are not going without apps they would have available on the other side. There's no question there is tremendous work to be done to clarify payments to and rewards for developers on the Android platform, relative to the iOS platform, and there is work to be done on the Android Market to add discoverability versus iTunes, but again, having tried both, to say one is great and the other is lame is a dramatic oversimplification. There's something very cool about managing one's phones via the Web and installing applications to different devices from the browser with a few clicks - something I still can't do on iTunes. It makes sense to try and keep an open mind when it comes to technology progress in a world that's changing fast. I've enjoyed iOS in the past, and am glad it's so simple that my kids don't waste much time on the iPads fighting technology. I've had my occasional bumps with Android, outweighed greatly by the benefits of multitasking, built in hotspotting, voice search, and flexibility of the platform. I actually tried and enjoyed the Windows Phone 7 experience, and hope to some day get a chance to try out HP's Web OS and Kinoma on any phone once that ships. To pick a side and stick to it while being blind to the many options out there in the market is silly, but in looking back on my switch, I am glad I didn't get stubborn and ignore the market trends. While Android has provided more options from different carriers with an array of devices and improvements in the user experience and applications, iOS has not done much in the same time, aside from make a ton of new customers and a ton of money. That's fantastic for Apple and for the tech world in general, but not much money has gone toward Apple from our home in the last year. Google and the carriers have a lot of work to do to solve fragmentation and the perception of fragmentation. They have to do a much better job of explaining why their experience is better than that of the competition (if that's the case). They need to make Honeycomb dramatically more simple, and more attractive to developers. They need to make troubleshooting the devices, when things go wonky, solvable by humans without Linux backgrounds. That said, I like that Android has given us choice in tablets, in smartphones and carriers. I like that I can use a platform that doesn't fill me with fear when I upgrade from one phone or another, or know that because my wife broke her Evo, that a new one which arrives tomorrow will take only minutes to configure, synched with her Google account. There's no telling what the next year brings in terms of new devices and new places we'll see Android, but I'm betting it will be another year filled with new functionality, new apps and new experiences I would have missed if I didn't jump from one side of the aisle to the other. No doubt tomorrow at Google I/O we'll start to get a few hints.